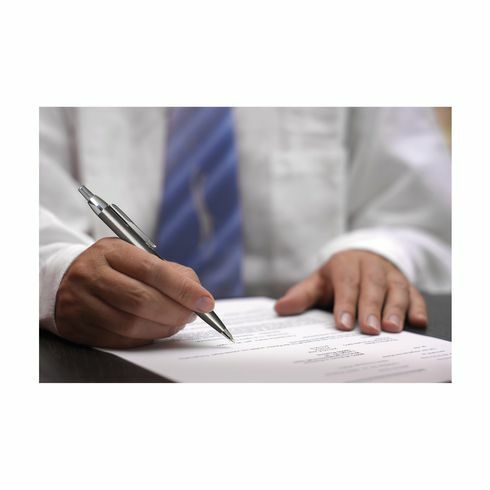 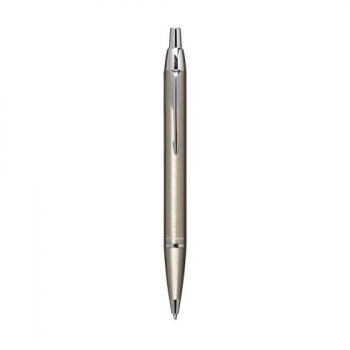 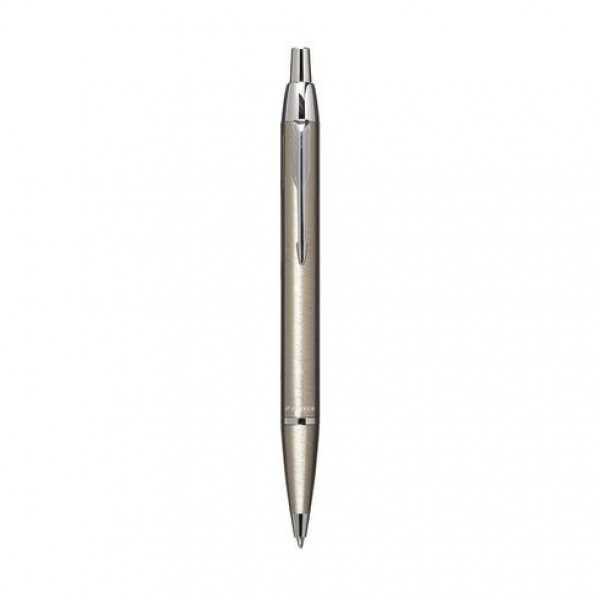 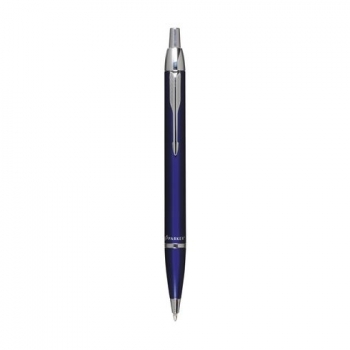 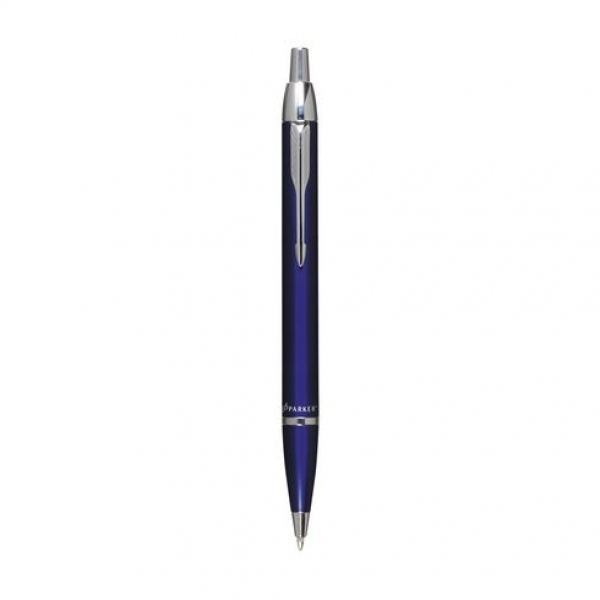 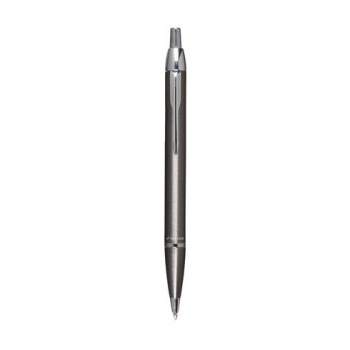 Stylish blue-writing Parker stainless steel ballpoint pen with high-gloss accents. 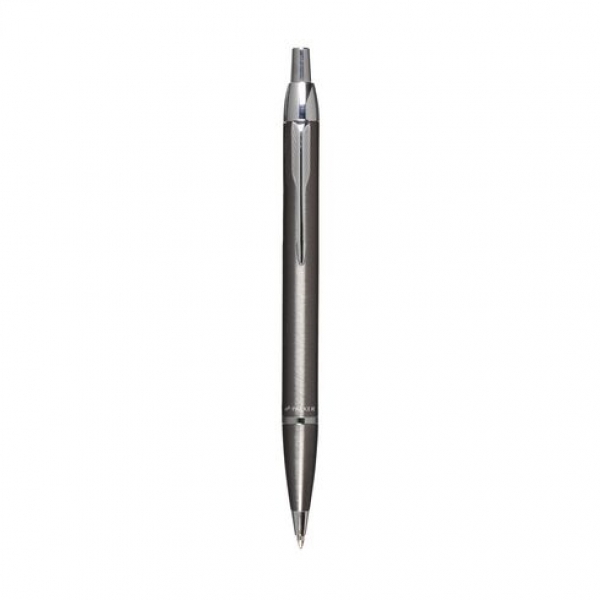 Available in black, matt silver, blue, bronze, steel. 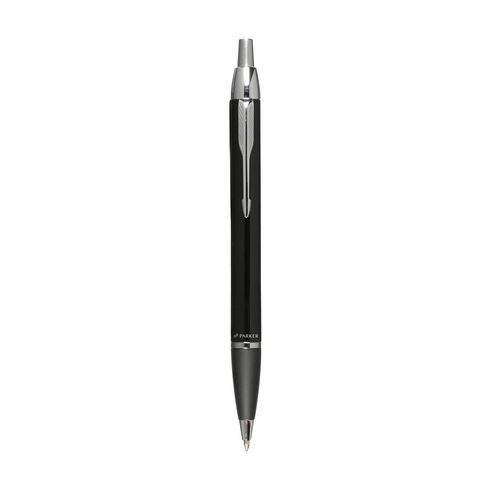 2 years warranty. 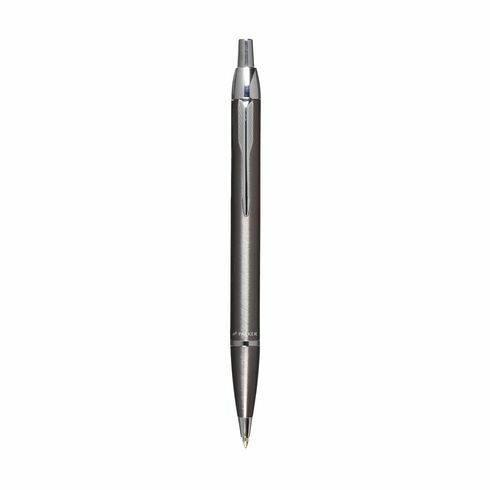 Individually packed in a Parker cassette. 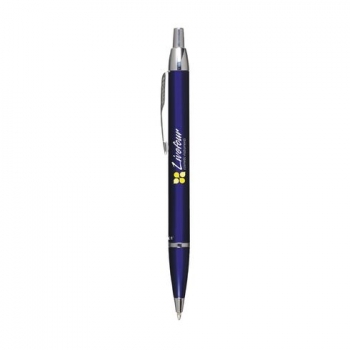 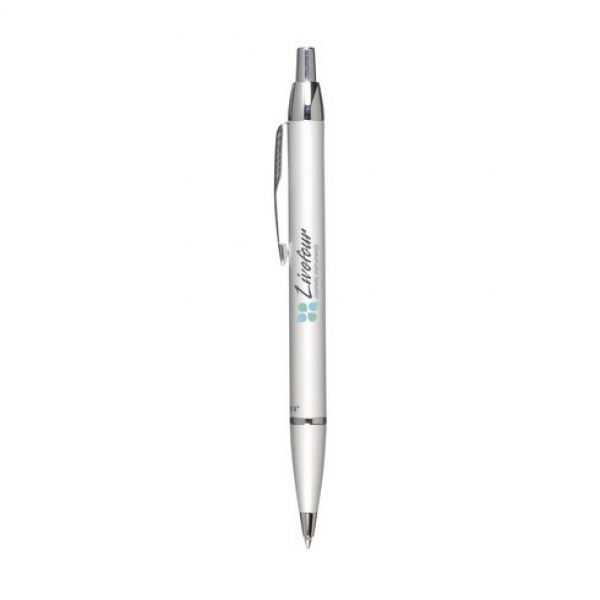 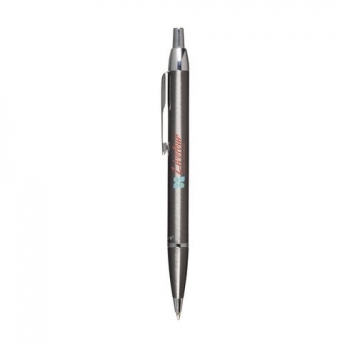 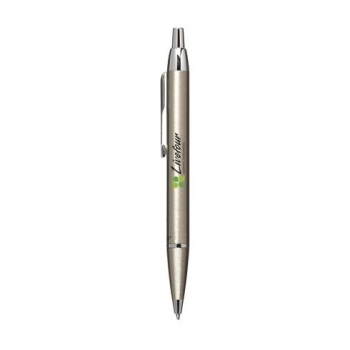 We print your logo for free in 1 color on the shaft of the pen.